Kamina is now certain that there is a world above their tiny pit-village. Encouraged, he begins to fight recklessly against the robot, until he encounters another person who has arrived from the land above. She is a beautiful girl by the name of Youko, who has come from a neighbouring village with a rifle in hand. She has been hunting the robot, but her shots only seem to irritate it. 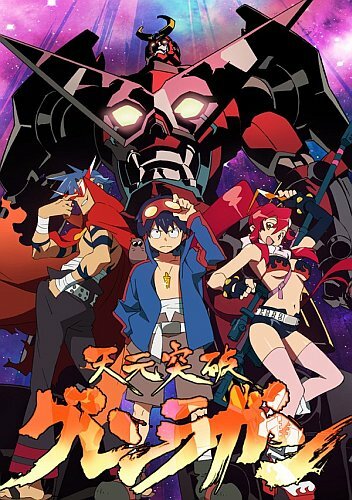 Desperately trying to escape its attacks, Simon brings Kamina and Yoko to what he had previously found: A mysterious robot with a head for a body.